The King has set a decree: The body of Polynikes shall not be buried. Opposing the law, Antigone sets out to give her brother the proper burial rites she believes he deserves, even if this means going against the ruling of her uncle and jeopardising the relationship between her sister and her betrothed. In this new adaptation of Sophocles’ conclusion to the Theban plays, Brendan Murray transitions the language to the twenty-first century, whilst maintaining the essence of the original text. Obscure references are removed and the language is stripped to its necessities. This makes for an accessible telling of this tale, using its original structure to drive the audience through the plot, without the need to dote on the Greek jargon of its original script. Matthew Parker (Artistic Director of the Hope Theatre) has attacked this script from left, right and centre, getting to the core of the plot and swiftly taking the audience from a dilemma of an offset to a hauntingly tragic conclusion. Parker hasn’t missed a trick and evidently knows the space his actors are working in like the back of his hand. Through the use of simple stage blocks, a table and chair, the ensemble move as one unit, balancing the plate during chorus scenes and creating naturally-occurring shapes and frames. Parker has brilliantly brought together the technical aspects of this production, uniting them tightly with the physical aspects, to create a puzzle of a single entity where everything fits tightly together. A minimalist selection of lights have been cleverly rigged and focussed by Tom Kitney to shine through gaps and cast beautifully poignant shadows across the faces of the five performers. An excellent use of torches gave a fabulous beat of suspense in Antigone and Ismene’s initial duologue. A soundscape of apocalyptic-esque noises and sirens surrounded the studio, complementing the text and delivery throughout. The ensemble of five female performers created one of the strongest unities I have ever seen on stage. Amanda Bailey gave a particularly impressive performance as Creon, using the misogyny in the text to mask behind her true gender and transform into the leader of this patriarchal society. Whilst rather overwhelming in such a small space, the songs from the chorus powerfully transcended the walls of the studio, with perfect harmonies and a superb blend of voices. Parker, Murray and the rest of the creative team have taken the skeleton of this classic Greek tragedy and worked their theatrical magic to give it pace, flair and character. With an all-female twist, the pathos of this ancient text resonates well with an audience living in the twenty-first century. When the law forbids burying the dead, what man would dare disobey? When Antigone goes against the law of the land in burying her brother, she sets in motion a chain of events leading to the shattering of her family and the downfall of the house of Oedipus. Presented by a an all-female cast of 5, this physical, musical and hauntingly beautiful retelling of the classic tale shins a new light on Sophocles’ depiction of a patriarchal society. Tales Retold presents a new adaptation by multi-award winning writer Brendan Murray with original choral music by Maria Haik Escudero and directed by The Hope Theatre’s Offie nominated Artistic Director Matthew Parker. 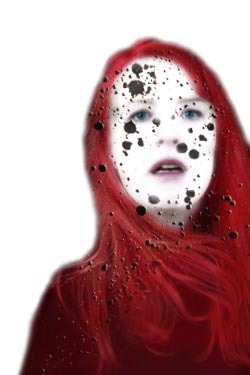 Antigone at The Hope Theatre 23rd February to 12th March 2016.